The Minister for Education and Skills, Jan O’Sullivan TD, will launch a new partnership between BizWorld Ireland and Mary Immaculate College (MIC) on November 30th. 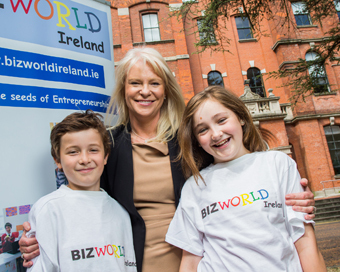 A new model for teaching enterprise skills to primary school children will be unveiled by BizWorld Ireland as part of the launch. During the event, Fiona McKeon (pictured), CEO of BizWorld Ireland, will give an overview of this new model, which involves her organisation training MIC students in the delivery of the BizWorld programme. The programme teaches primary school children about money management, critical thinking and enterprise in fun and creative ways.